﻿ Peter Schmeichel: "Cristiano Ronaldo is by far the best player in this EURO 2012"
07.06.2012 » Peter Schmeichel: "Ronaldo is by far the best player in the Euro 2012"
Do you remember Peter Schmeichel? The former Manchester United legendary goalkeeper spoke a few words in regards to the EURO 2012 and targeted Cristiano Ronaldo as the biggest star in the tournament. However, and even though the Danish giant doesn't believe much in Portugal chances to go all the way in this European Championship, he still thinks that having a player such as Ronaldo, allows the Portuguese team to be able to beat sides who are theoretically stronger. 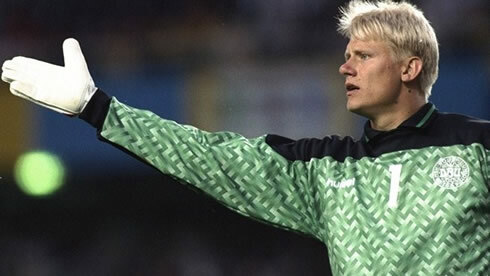 One of the greatest goalkeepers in the history of the game, the Danish Peter Schmeichel, came to Portugal to participate in the Carlsberg Euro Lounge event and naturally ended sharing his insights on the upcoming EURO 2012, as well as analyzing the Portuguese National Team. The Danish legend stated that he can't see any other player in this tournament who is as good as Cristiano Ronaldo, but he doesn't think that the Portuguese Team really has what is needed to become European champions. 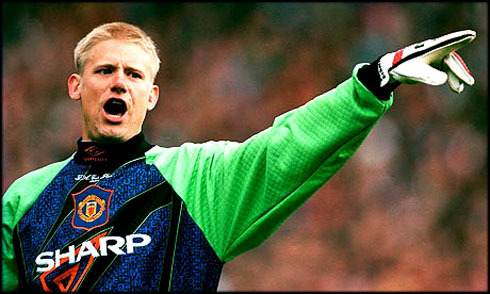 Schmeichel pointed Germany and the Netherlands, as the two teams who he thinks that will reach the EURO 2012 final, next July 1. 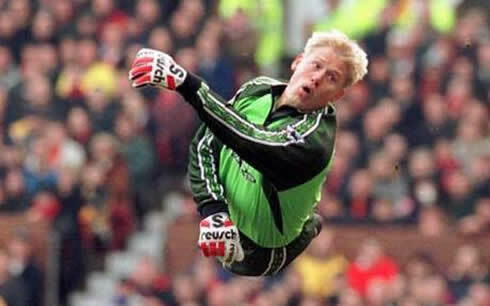 Peter Schmeichel played for Manchester United between 1991 and 1999 and wore the Red Devils jersey in 292 appearances. 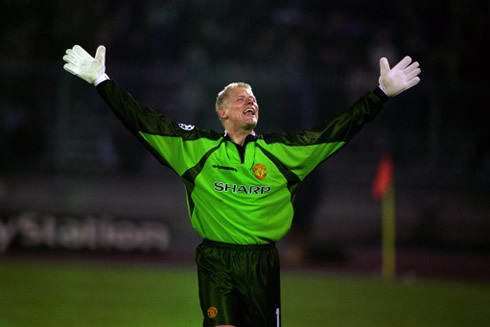 He then moved to Sporting CP, where he played for 2 seasons (1999-00 and 2000-01), but never really had the chance to share the locker room with Cristiano Ronaldo, who only joined the first team one year after Schmeichel's departure from the club. 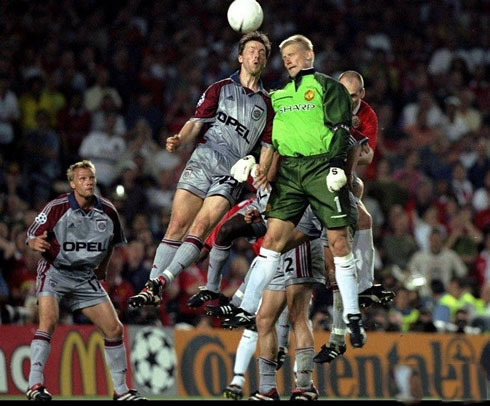 The Danish goalkeeper ended up winning the UEFA Goalkeeper of the Year award for 4 times in his career (1992, 1993, 1997 and 1998). 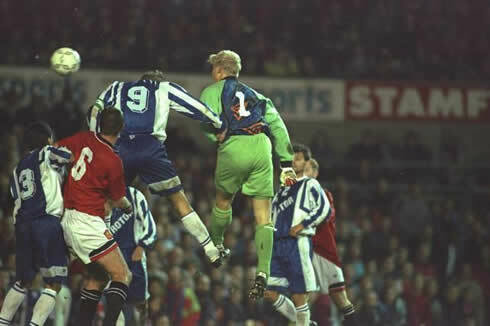 He was also part of the Danish National Team who won the EURO 1992, exactly 20 years ago from now! 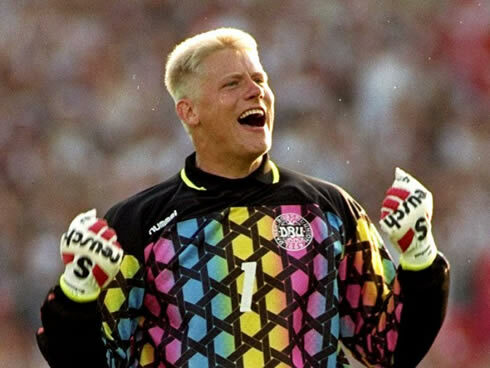 Peter Schmeichel: "I believe Germany are going to win the EURO 2012, because they have the strongest squad and they also look more fresh than the other sides. In my opinion, the EURO 2012 final will put Germany against Holland, which necessarily means that Portugal is not going to get through the group stage, just like Denmark, which is my own country...", pointed out the 'Great Dane'. 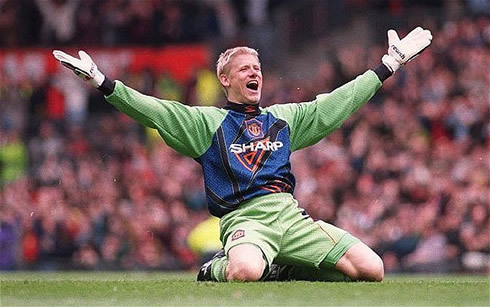 Peter Schmeichel: "I know these words won't make me be seen as a very friendly figure with you [Portuguese people], just like I've been in trouble with my own country for a long time, but I can deal with it...", remarked the former Manchester United legend. The 48-years old retired goalkeeper, then tried to explain further more the reasons for his belief that Portugal can't really be seen as one of the strongest candidates to win the EURO 2012. 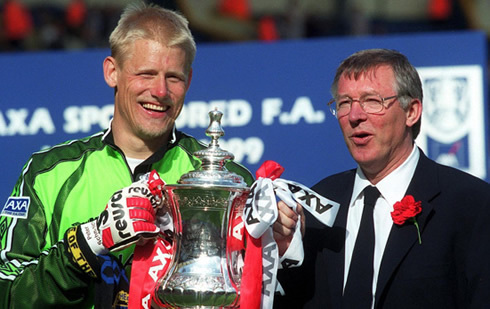 Schmeichel: "Portugal lost to Turkey and drew with Macedonia... If we look at that, we have to think that maybe they are not that well prepared for this tournament, but everything is about this Saturday... You know what happens that day? Can you beat Germany? Can you get a point against them? 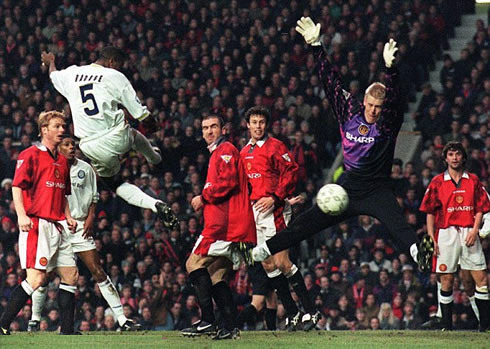 ", asked the Danish goalkeeper. 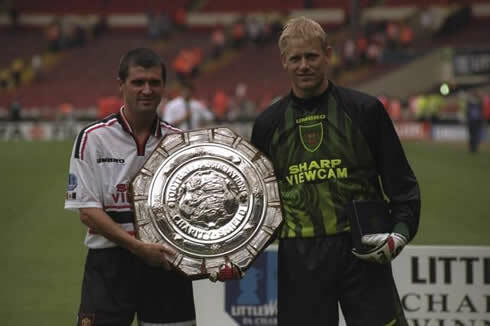 However, there's one player in the Portuguese team who Peter Schmeichel holds in high regard and who can actually turn out to be decisive in respect to how far the team can progress throughout this tournament. Peter Schmeichel: "Portugal has the best player present in the EURO 2012 by far, which is Cristiano Ronaldo! There's no one as good as him in the World and I believe that with a player like that, anything can happen...", stated the EURO 1992 champion, when analyzing the Real Madrid forward's talent. 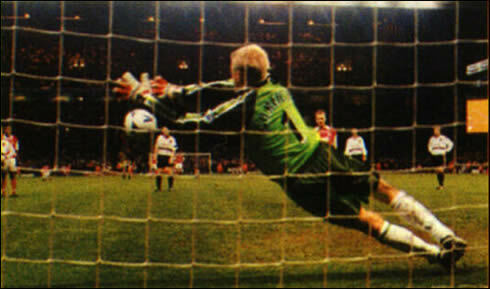 Peter Schmeichel: "Some of us can also remember the EURO 1984 as well, where Michel Platini won it almost single-handedly, after scoring 10 goals in 5 only games! 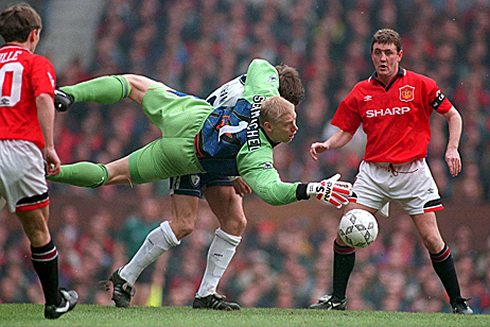 With this breed of players, anything can happen..."
Having been one of the greatest goalkeepers in football, Peter Schmeichel certainly knows what it takes to keep a clean sheet. He would then conclude his speech by sharing his view on Portugal's goalkeeper, Rui Patrício. 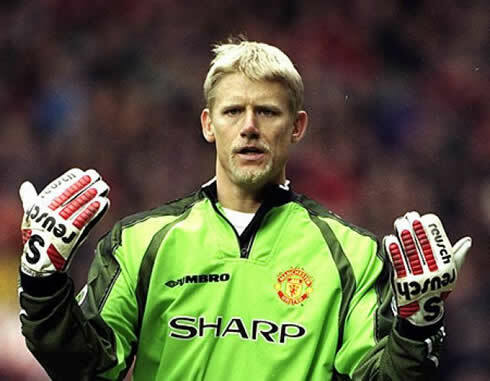 Schmeichel: "When you're a goalkeeper, you know that if you make a mistake you very often hurt the team's objectives in that game. For that reason, Rui Patrício has to be prepared both mentally and physically. I think that with the group we have in front of us, no one can afford to make mistakes", referred Schmeichel when anticipating the amount of work and responsability that Rui Patrício will have ahead of him in this EURO 2012.